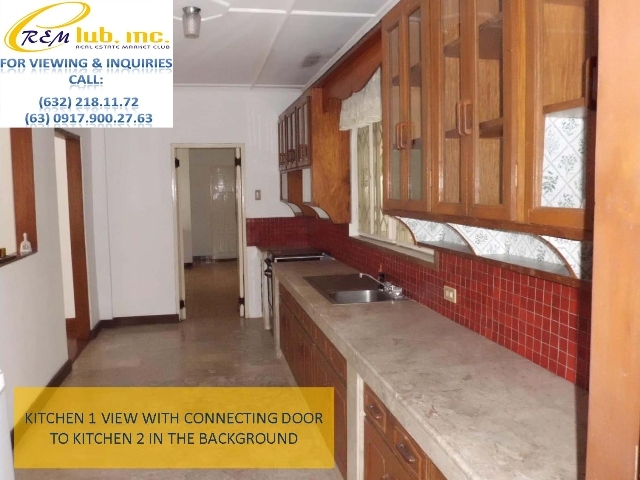 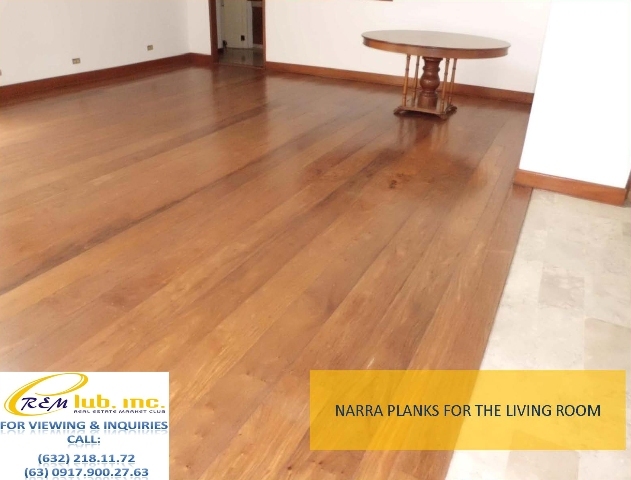 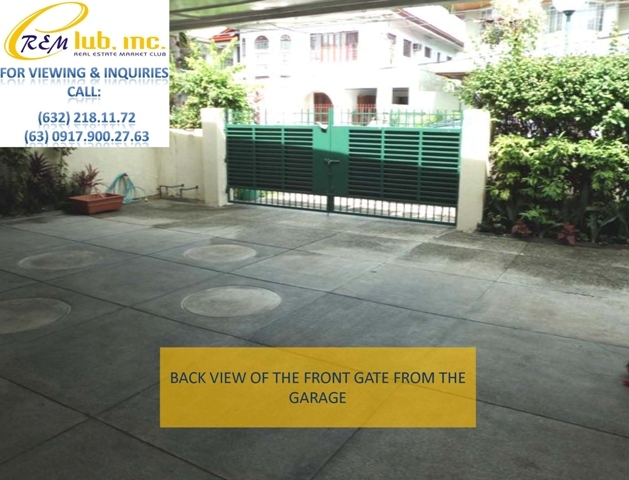 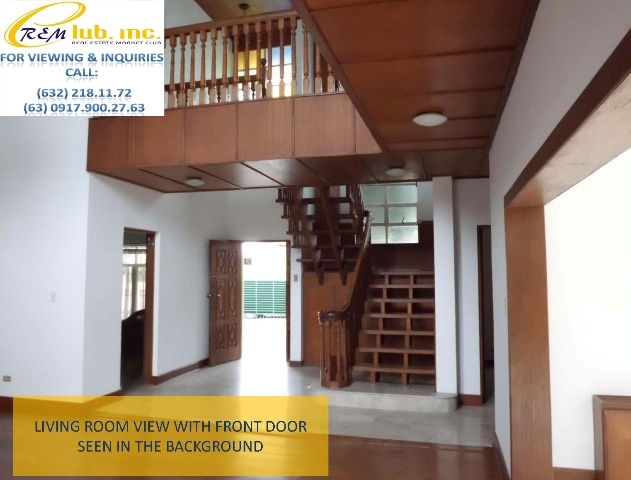 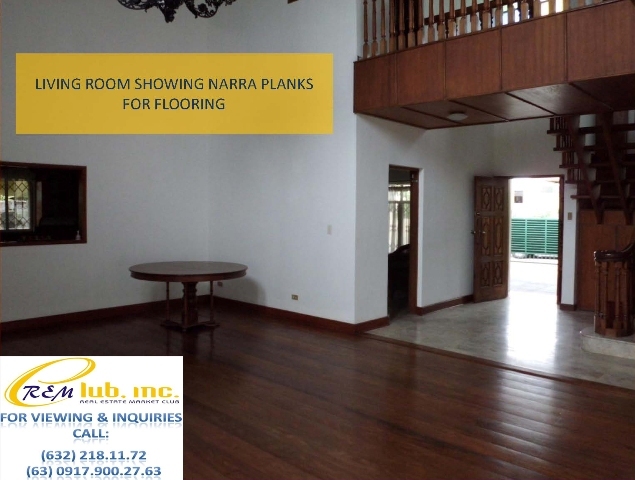 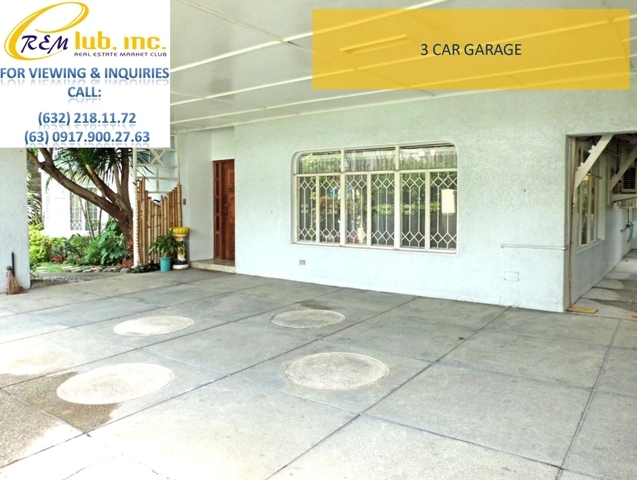 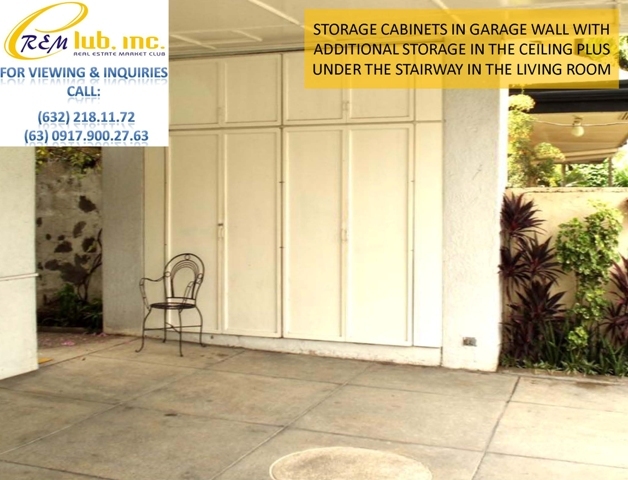 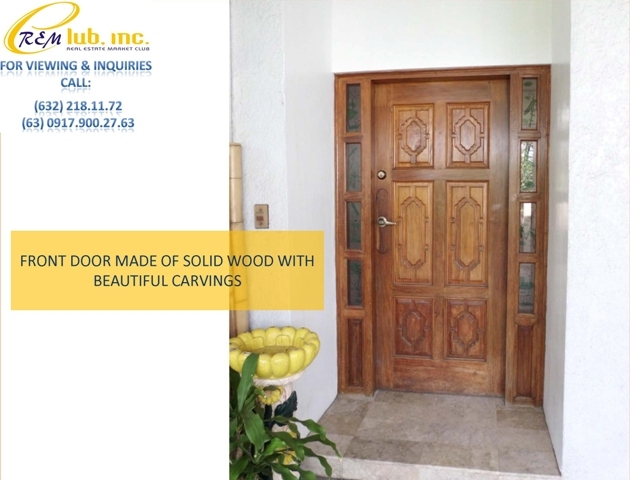 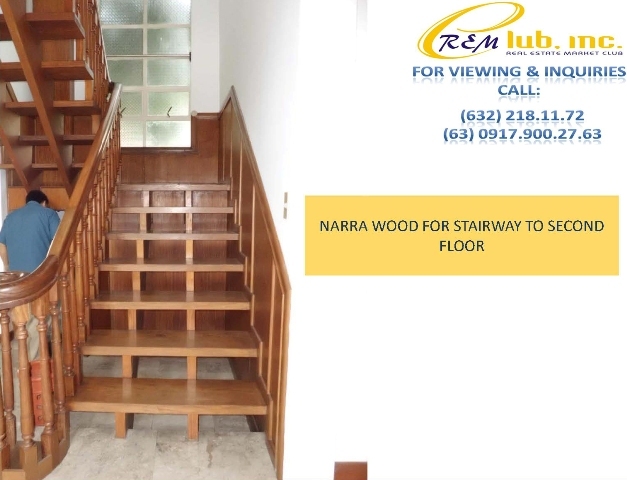 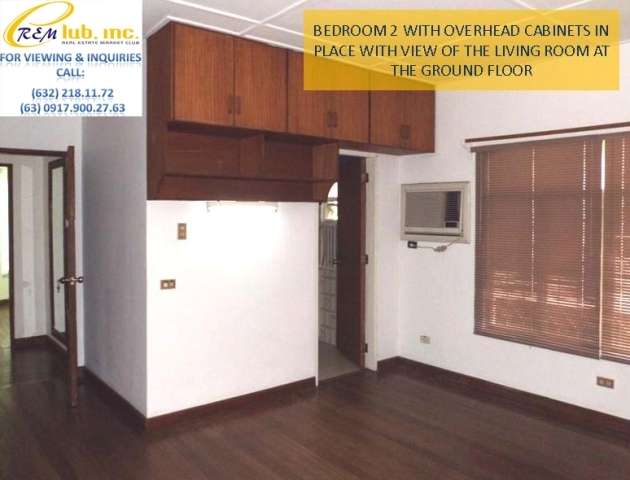 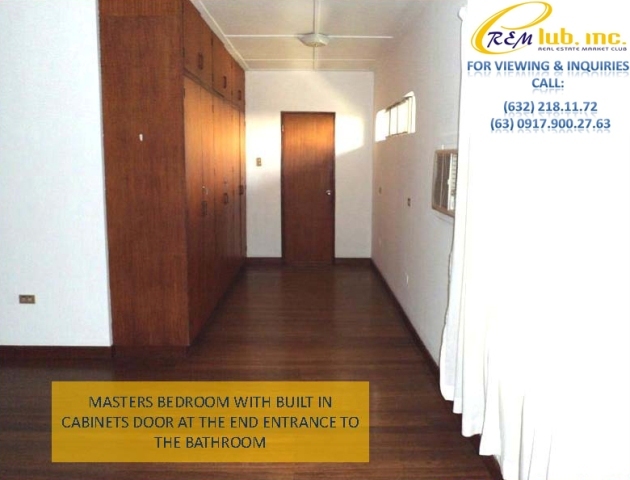 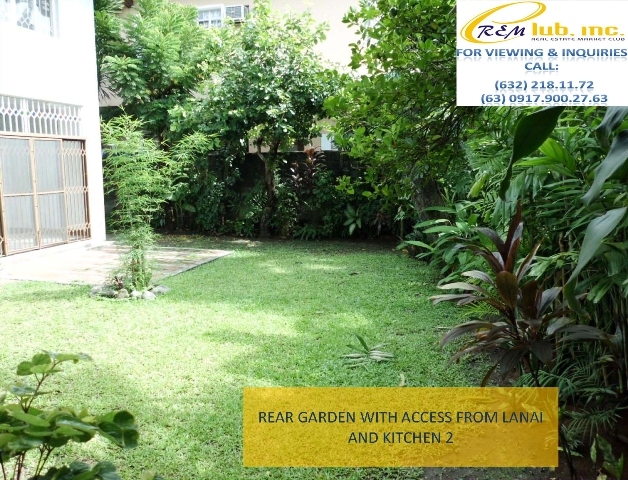 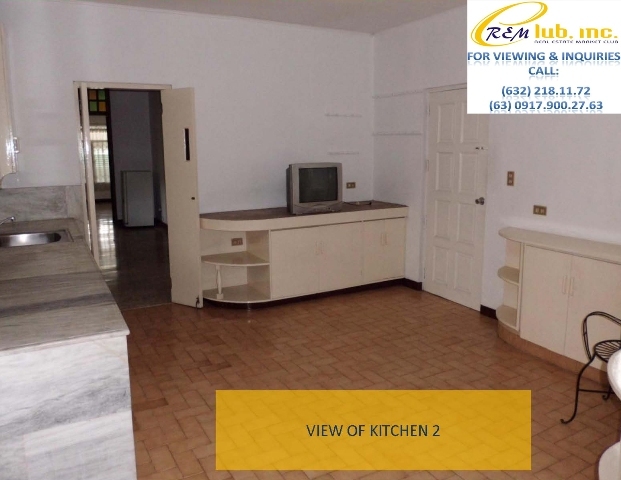 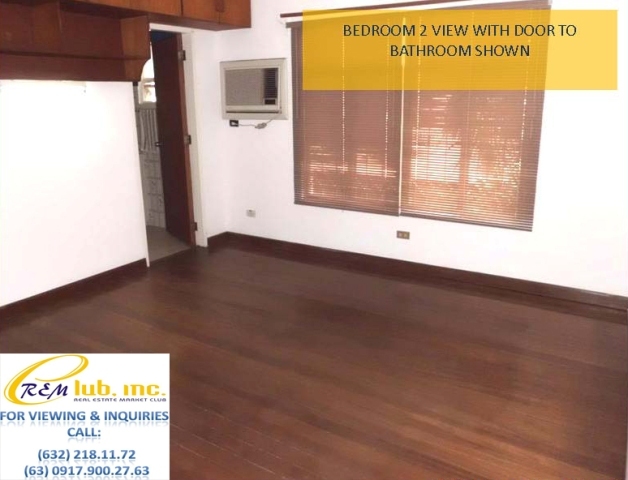 This two storey home is quite spacious with its living room and cathedral ceiling on narra floor planks. 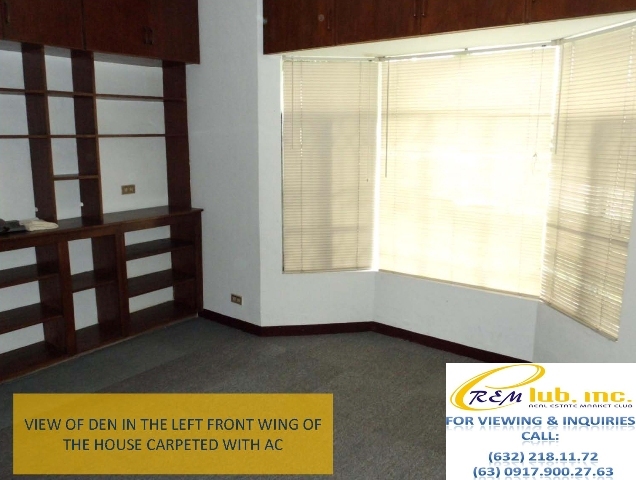 A bay window with a view to the rear garden and passage way on the second floor overlooks the living room. 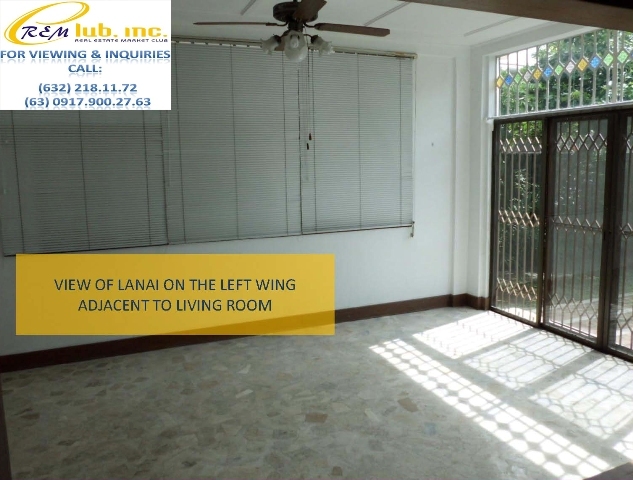 Two petite windows in two bedrooms also have a view of the living room. 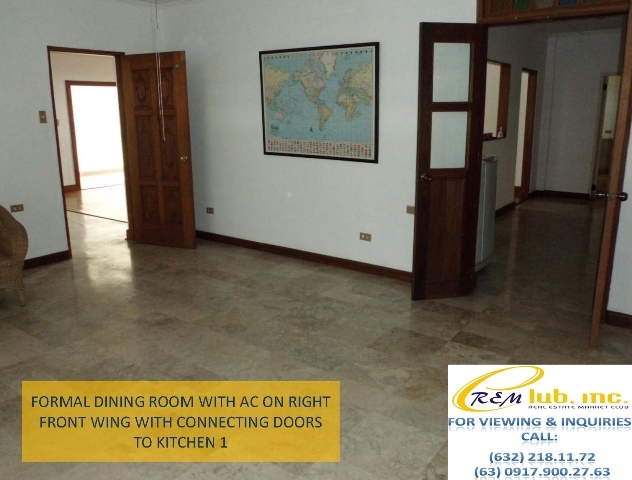 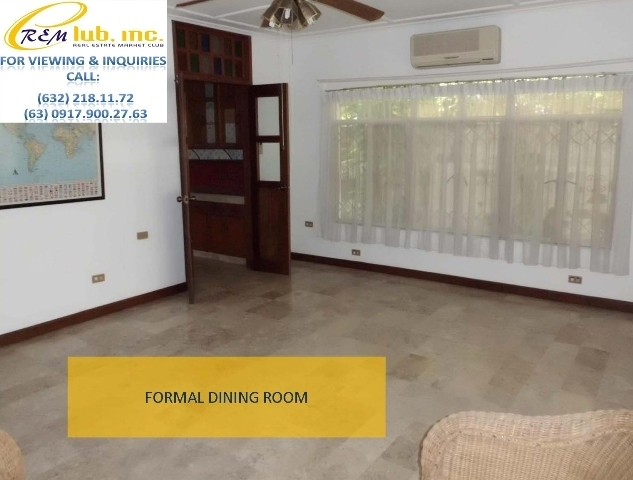 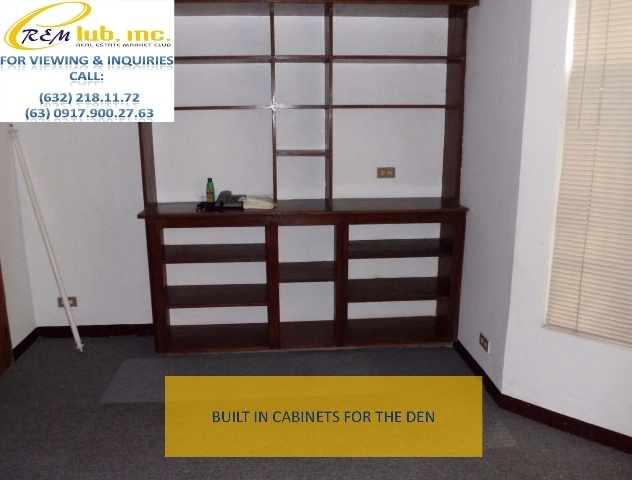 A separate formal dining room with AC, lanai, plus a carpeted den is located on the ground floor. 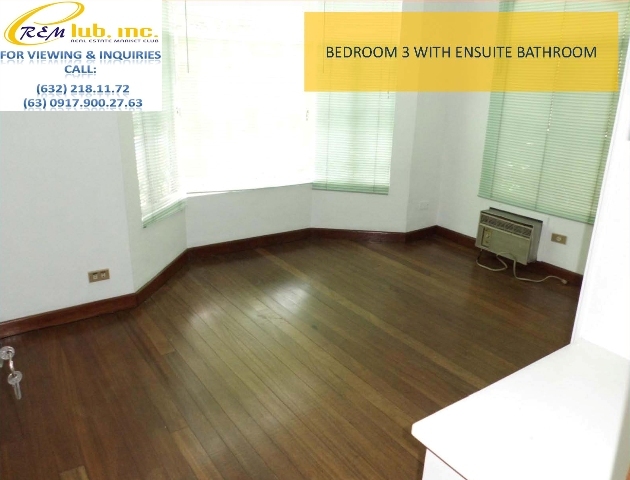 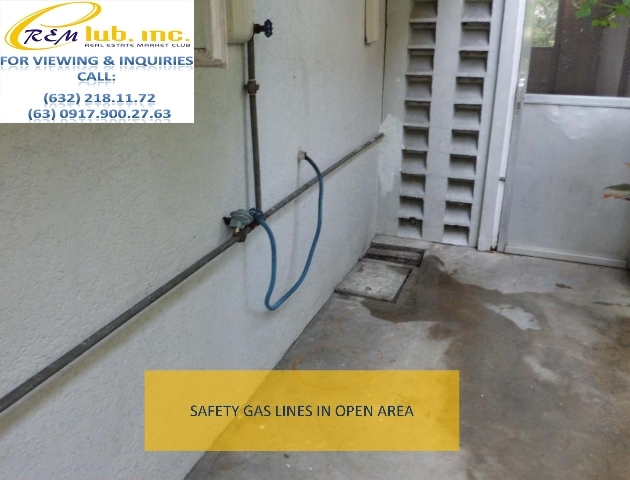 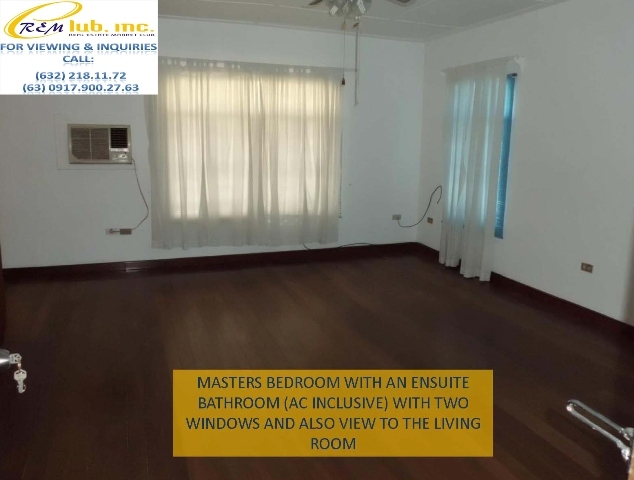 The ground floor is provided with a half bath. 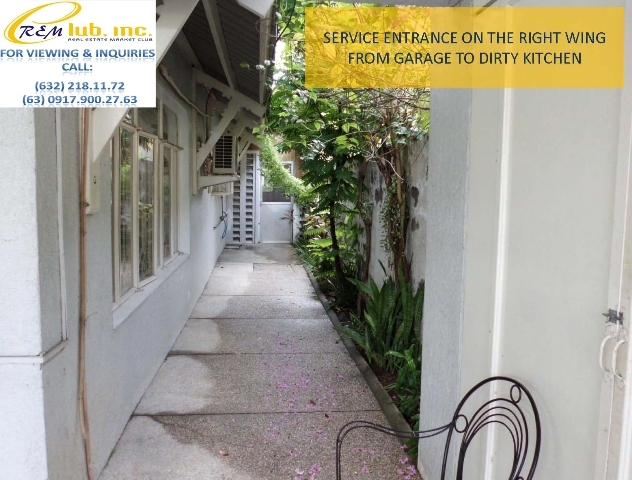 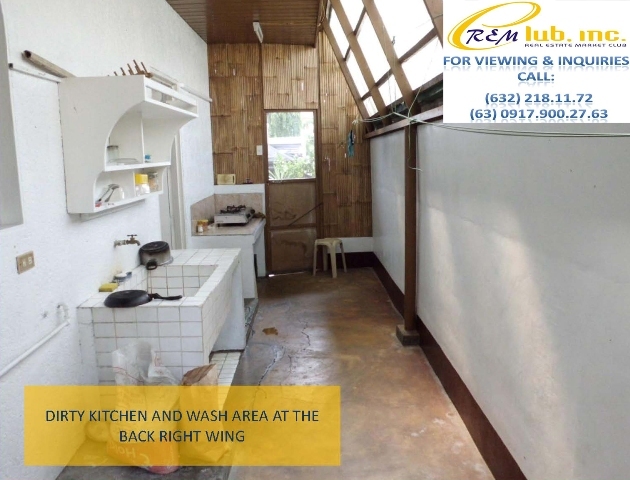 There is a clean kitchen attached to a secondary kitchen and service area with a dirty kitchen at the right wing. 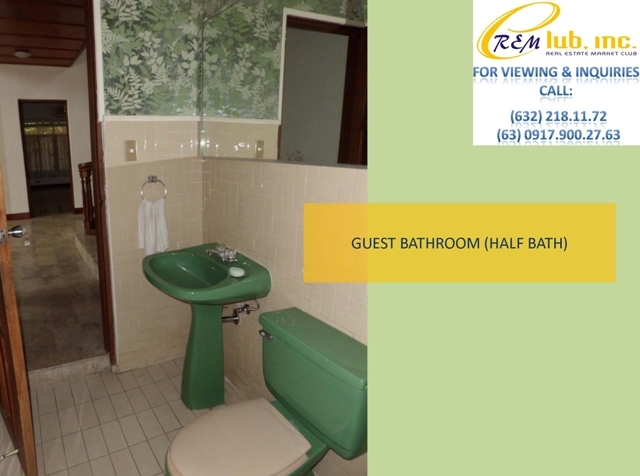 The maid’s room with bathroom is likewise on the same wing. 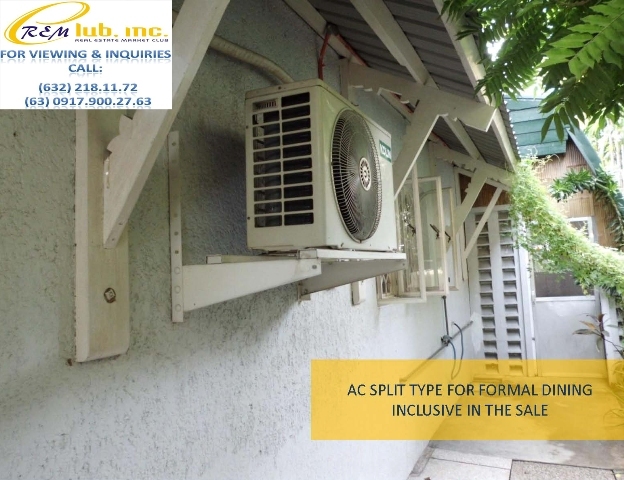 Air conditioning units and a range hood are all included in the sale.